Use ReferenceUSA to find instant in-depth information on 14 million businesses and 86 million residents. Use Custom Search to find listings by numerous criteria. Detailed information on businesses include toll free and fax numbers, sales volume, number of employees, corporate families, ticker symbols, owner/executive names, news headlines, credit ratings, and more. Residents can be searched by name, address, phone number, median home value, and median home income. Check out ReferenceUSA with your WCCLS library card handy! 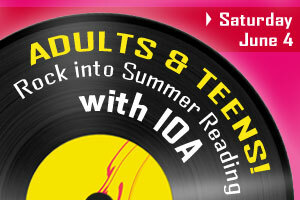 Rock into Summer Reading at the Tigard Public Library with IOA! This seven-piece Portland band features trumpet, ukulele, French horns and more in their unique sunny indie-pop compositions. IOA will be playing in the library's outdoor gazebo from 2:00 - 3:00 on Saturday June 4th. For a preview of IOA's sound, check out their Myspace page. In case of bad weather, the concert will be held in the Community Room of the Tigard Public Library. If you have questions about the event, contact the library at 503-684-6537. Hope to see you there! WCCLS offers downloadable ebooks, audiobooks and video through the popular Library2Go service. The world of ebooks and mobile devices is changing rapidly, and to reflect that, we've updated our information page about Library2Go. You'll find our updated Library2Go information linked from www.wccls.org - just click on "Downloadable ebooks, audiobooks & video with Library2Go." Take a look! Even if you are a regular Library2Go user, you may learn something new. For example, did you know that you can download ebooks directly to your iPad using the Overdrive app? On the other hand, if you are new to Library2Go, we hope this will be a good introduction to the basics of using the service. Cedar Mill Screens "Deep Green"
Wednesday, May 25, at 6:30pm, Cedar Mill Community Library’s monthly Film Club is sponsoring a free screening of the award-winning Portland-made documentary Deep Green. A Q&A with Lake Oswego filmmaker Matt Briggs will follow. 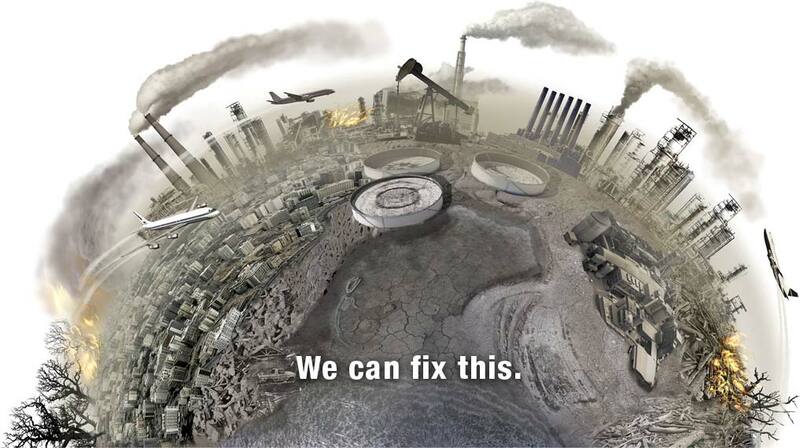 Filled with passion, refreshing insights and riveting revelations, this critically-acclaimed motion picture has been energizing audiences around the world with its upbeat message and compelling examples of the ingenuity and resourcefulness being devoted to conquering the escalating climate crisis. Audiences learn how other nations and communities are facing the challenge and glean essential tips on how every individual can make a difference. Deep Green has been called “a template” for getting off fossil fuels by the Los Angeles Times and praised for “offering hope instead of despair,” by the Oregonian. 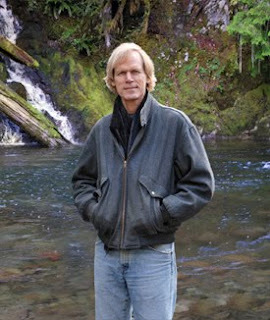 The Portland Tribune noted, “Deep Green...has energy, passion, imagination....” Among the widely-respected authorities featured in the film are Lester Brown of the Earth Policy Institute, bestselling author Michael Pollan, scientist and broadcaster Dr. David Suzuki, and former CIA Director James Woolsey. Over three years in the making, this unique film was the culmination of a quest that began in the 1990s for Briggs, who helped pioneer the wild mushroom industry in the U.S. in the early 1980s and started noticing effects of global warming on our national forests a decade later. Concerned, he attended scores of conferences and spent four years pouring over the latest research. DVDs will be available for purchase on the evening of the screening. For more information, contact Lynne (503) 644-0043, ext. 132, LynneE@wccls.org. Free energy savings workshop for Hillsboro residential customers, Thursday, May 12. Portland General Electric and the Energy Trust of Oregon is presenting a free energy efficiency workshop for Hillsboro residential customers. Participants will receive a free workbook and information on saving energy at their home. Thursday, May 12, from 5:30 to 7:30 p.m.